As some might remember, last year's Oscars ended in an embarrassing mix-up. The Academy Award for Best Picture was given to the wrong nominee, La La Land, when Moonlight was the actual winner. But the Academy redeemed itself with this year's show. Jimmy Kimmel, who hosted for the second year in a row, managed to tastefully joke during his opening monologue about last year's mix-up, about the Time's up movement, and about the established time limit on acceptance speeches. This year's show was filled with diversity. Rachel Morrison, the cinematographer for Mudbound, was the first-ever female to be nominated in the category. She did not go home with the award, which went Roger A. Deakins for Blade Runner 2049. Disney's Coco won best animated feature film. The film is based on the Mexican holiday Day of the Dead and follows a young boy who is transported to the land of the dead and seeks help getting back to the living. Jordan Peele won best original screenplay for his movie Get Out, a dark comedy about a black man finding out the secrets of his white girlfriend’s family. Greta Gerwig was the first woman to be nominated for best director in eight years. Even NBA Star Kobe Bryant won an oscar for his short animated film, Dear Basketball. Besides the deserving people being awarded with Oscars, there were other memorable moments of the 90th Oscars. For example, during the ceremony, host Jimmy Kimmel took a few stars (Margot Robbie, Gal Gadot, and Lupita Nyong'o) to a crowded movie theater across the street as a way to say thank you to the people who still go out to see movies. Kimmel also awarded the winner with the shortest acceptance speech with a jet ski, a promise he made in his monologue. 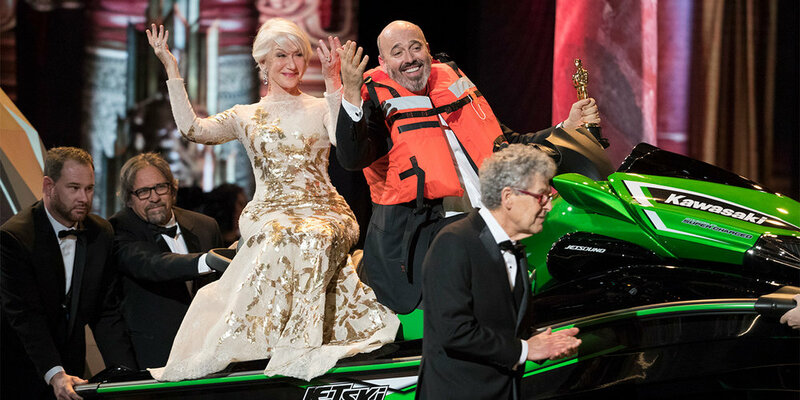 The jet ski went to Mark Bridges, who won best costume design for Phantom Thread.